Globe/T. 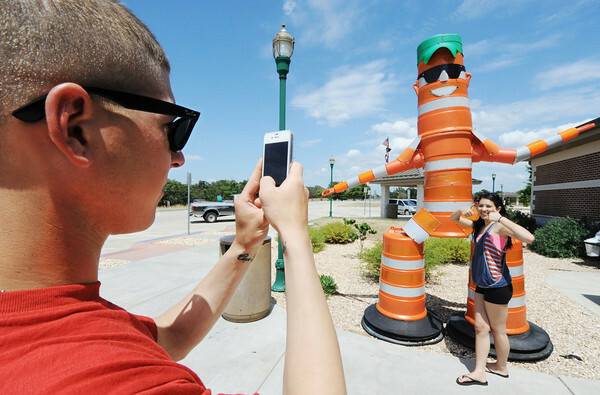 Rob Brown Codey Garaux, left, takes a phone photo of his wife, Amanda Garaux, at the Missouri Welcome Center on I-44 in Joplin, as she gives a thumbs-up for the camera next to the center's icon Barrel Bob Monday afternoon, July 2, 2012. The couple said they were traveling home from El Paso, Texas, to Canton, Ohio. Codey Garaux is on leave from the U.S. Army.